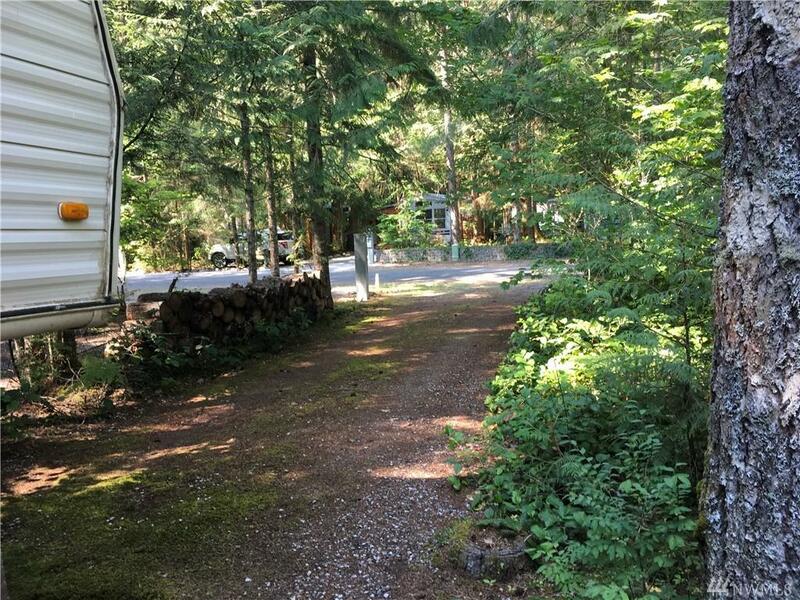 Beautiful surveyed lot facing the river w/40 5th Wheel boasting ample storage, 2 exit doors & metal roof. 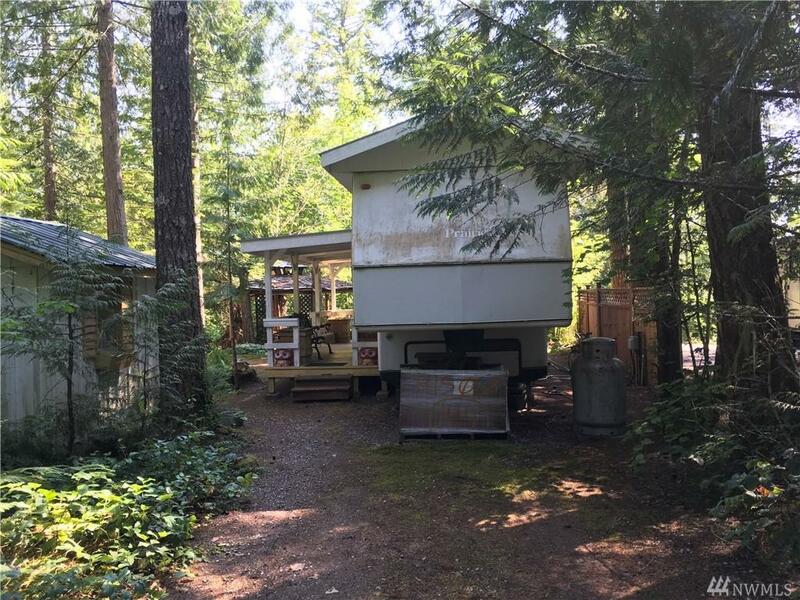 Ready for your vacation w/washer & dryer in unit (has never been used or hooked up). 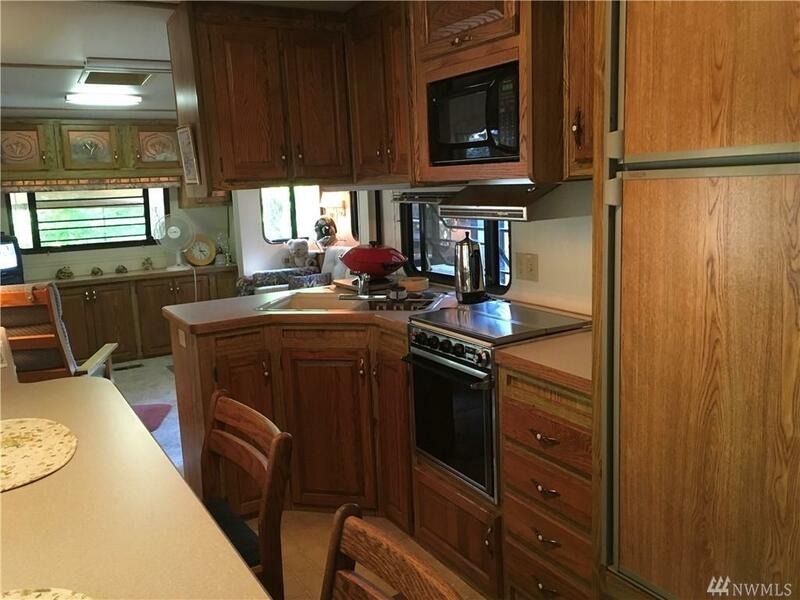 Kitchen w/breakfast bar & lots of cabinets. Lighted cabinets in LR & Kitchen. New water tank. Covered deck w/metal roof. 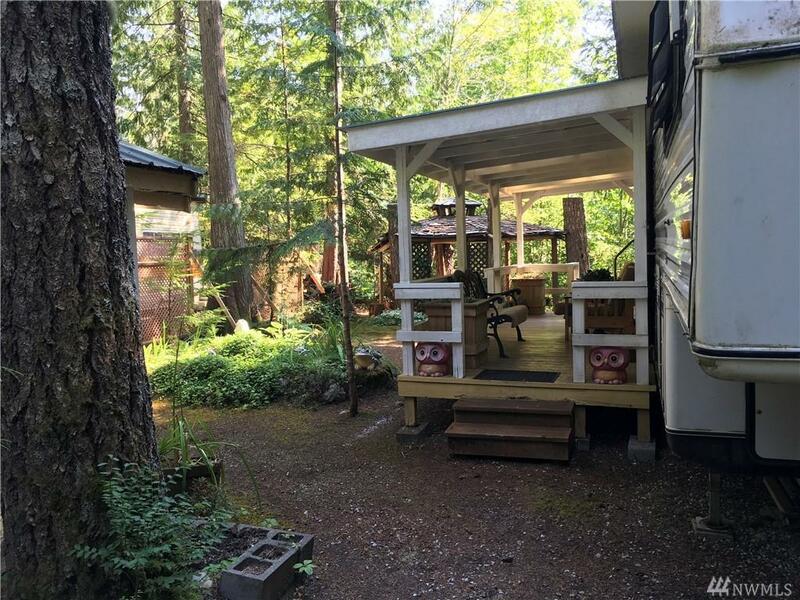 Private lot w/enormous green belt, new fence & water standpipe. Open gazebo for entertaining, shed to store your tools. Lots to do-bike park, playgrounds, pools, river access & more.